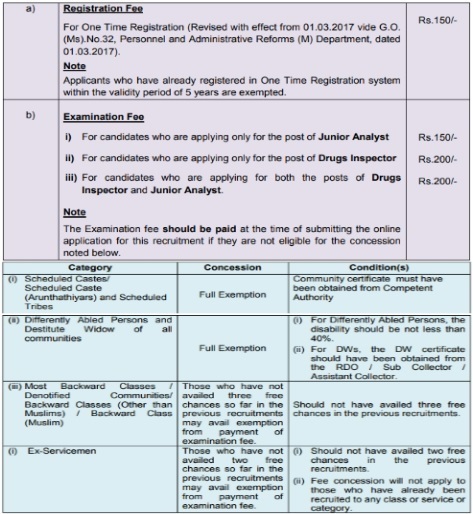 The applicants who are willing to apply for TNPSC Recruitment 2019 they should fill and submit the online application form in the précised manner on or before 12th May 2019. Entire information such as eligibility criteria, selection process, salary package, apply process, last date, etc. are mentioned on this page. Qualification Details: Aspirants should have attained Degree in Pharmacy or Pharmaceutical Science or Medicine with specialization in Clinical Pharmacology or Microbiology, Degree in Pharmacy or Pharmaceutical Chemistry or Chemistry from a recognized Board / University / Institute. The organization shall conduct the Written Exam & Oral Test for the assortment of the applicants. 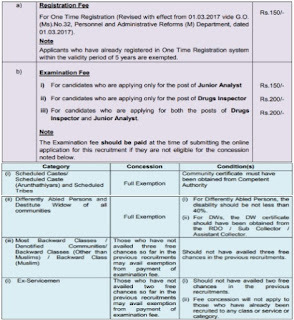 Candidates who are meeting with the above detailed eligibility parameters they may apply online for the application through the official website www.tnpsc.gov.in on or before 12th May 2019. Dead Line To Submit Online Application Is : 12-05-2019.